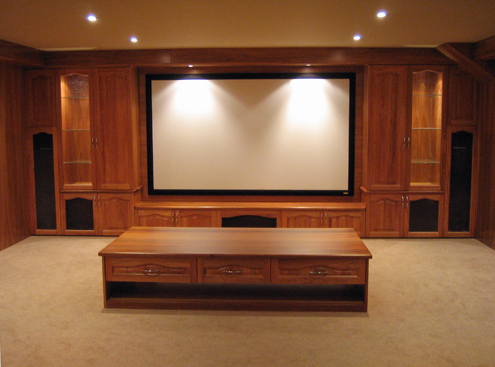 This home cinema is made from Blackwood. It includes a fully functional entertainment centre at the front, a large coffee table with media drawers and even a bar at the back. The room is equipped with complete automation through a fully programable remote, giving complete one touch operation of lights, curtains, audio and visual systems. Take a seat in one of the recliners and relax.